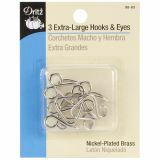 Extra-Large Hooks & Eyes 3/Pkg - DRITZ: Extra-Large Hook & Eyes. Use these closures for holding finished edges together! 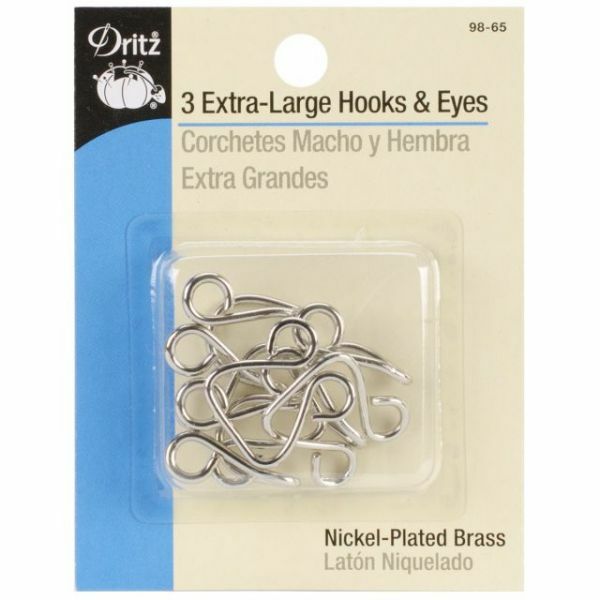 This package contains three extra-large metal hook and eye sets. Available in a variety of colors, each sold separately. Imported.